Coveleski won 214 games and lost 141 in a 14-year career in the American League, primarily with the Cleveland Indians. Known as a perfectionist on the mound, Coveleski did not believe in striking out batters. “Why should I throw seven or eight times to a batter when I can get ‘em out with a single pitch?” he said. He pitched three complete-game victories, allowing five hits a game, in the 1920 World Series as the Indians defeated the Brooklyn Dodgers. 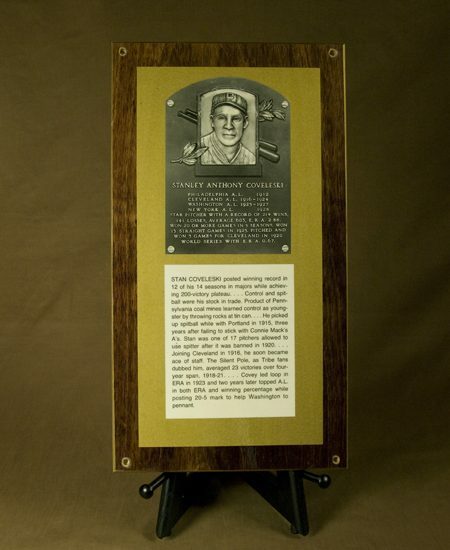 Stanley Anthony Kowalewski was a perfectionist on the pitching mound. Although he led the American League in strikeouts in 1920, Coveleski did not believe in trying to fan the hitters. Control was his prime attribute. Sometimes he retired the side on three or four pitches. Coveleski’s roots were humble. He worked 12 hours a day in the coal mines of his native Pennsylvania at the age of 12. He attributed his ability to throw a baseball to throwing rocks at tin cans in his youth. During his 14-season major league career, Coveleski pitched for four different teams but had his greatest success with the Cleveland Indians and Washington Senators. In 448 major league games, he posted a 217-141 record and had an amazing career ERA of 2.89. He won 20 or more games five different times. From 1917-1921, he posted a record of 112-66 including four straight 20-plus win seasons. 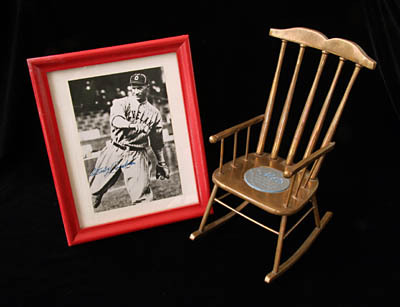 In 1920, he led the Indians to a memorable World Series championship over the Brooklyn Dodgers. In the series, Coveleski won three games, hurling complete games in each victory and allowing only 15 hits, five in each game, and only two total runs. In addition, he walked only two batters in the three games. Stan wasted little time in the series. In the first game, he threw only 72 pitches; in the second, 78 pitches; and in the final game, 81 pitches. Coveleski was a workhorse on the Indians’ pitching staff. He hardly took more than two days rest between assignments. He did, however, once require three days off after beating the Yankees in 19 innings, 3-2. After the extra day off, he trimmed the Chicago White Sox by the same score – but this time it only took nine innings. After being trade to Washington, Stan posted a 20-5 mark in 1925 and led the Senators to the World Series. For his career, Coveleski averaged a remarkable one walk per every 3.86 innings. Many attribute his legendary control with his pitches to the spitball (then legal) he learned early in his career. He once pitched the first seven innings of a game without throwing a single ball! A quiet man by nature, Stan was often referred to as “the silent Pole.” His brother Harry also pitched in the major leagues for Detroit. They became the first brother combination in baseball history to each win 20 games in a season. 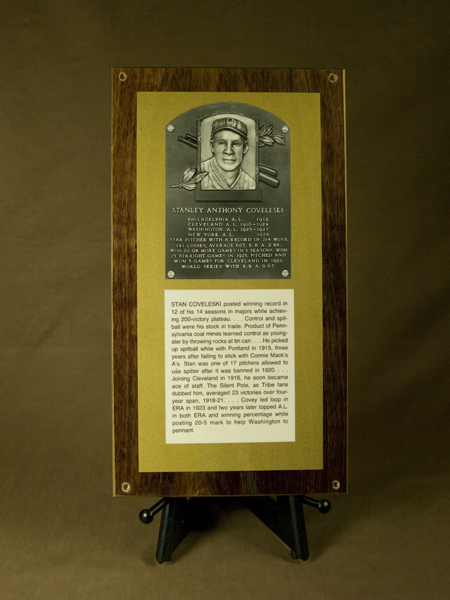 He was elected to the Baseball Hall of Fame in 1969.